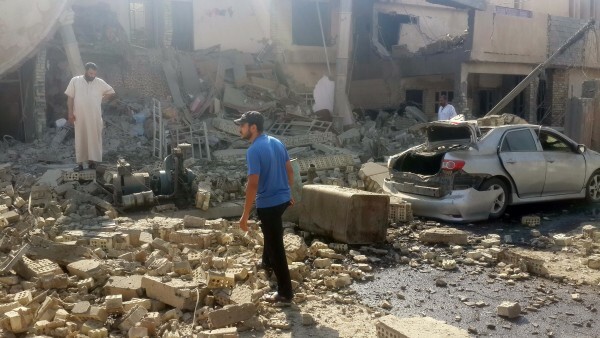 Iraqis were still counting the dead and searching for dozens presumed missing in the aftermath of Friday’s powerful blast which struck a marketplace in Diyala, in the east of the country. The Islamic State in Iraq and the Levant claimed responsibility on Saturday for the Friday attack which killed more than 130 and wounded at least 150 on the first day of Eid marking the end of the holy month of Ramadan. ISIL said in a statement published online that it used three tons of explosives in the attack, which it said was in the revenge for the killing of Sunnis earlier in the year. International condemnation of the massacre in the town of Khan Bani Saad came swiftly. In the UK, the Foreign Minister’s office lambasted ISIL as “a brutal terrorist organisation which has carried out horrific atrocities in Iraq”. On Saturday, UN General-Secretary Ban Ki-moon called the attack heinous and devastating. It has been years since such a car bombing killed such great numbers. But the killing of civilians and security forces has not abated since US forces withdrew from Iraq in 2003 and since ISIL seized a third of the country’s territory in 2014 . Last week, the UN said that more than 15,000 civilians were killed by ISIL and security forces in the past 16 months; more than 30,000 were injured in that period. The UN says that more than 2.8 million people have become internally displaced since April 2014 when ISIL began seizing towns in northern and western Iraq. The bombing in Diyala comes as the Iraqi army, led by pro-Iranian Shia militia, begins a counteroffensive in the mostly Sunni province of Anbar to recapture its capital – Ramadi – which was overrun by ISIL forces in May. The Iraqi air force and US-led coalition fighterw has intensified bombing on another Fallujah, another Anbar city, in a bid to soften ISIL defenses. Residents of the city say that dozens of civilians have been killed by aerial bombings and shelling in recent weeks.